Circle of Life - Malaysia Beauty and Lifestyle Blog: Santa Hermo Grant my Wish! Santa Hermo Grant my Wish! The entire month of December is the month of giving, and I have found out that Santa Hermo will be granting wishes to some selected lovely girls thanks to The Butterfly Project!!! Everybody loves to make lists, and a wishlist is no exception. Therefore, with Santa Hermo granting wishes around the corner, I decided to head on over to Hermo.com.my to see what's available that I would want in my wishlist. I started off with more than 10 items on my wishlist, but setting a budget of RM80 (and a little bit more), I have narrowed down my list to these two items. Want to know what I wished for? 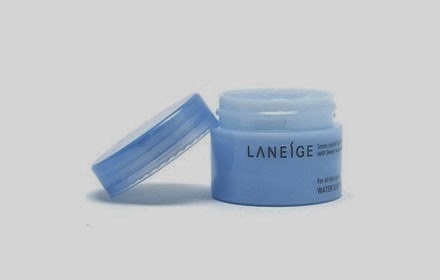 First up, I wish for the Laneige Water Sleeping Pack EX 20ml, which costs RM17.80 after discount (original price = RM27). This product brings crystal-clear and even skin tone by removing harmful oxygen and by purifying skin and removes dead cells for vigorous water supply and sleek skin texture. 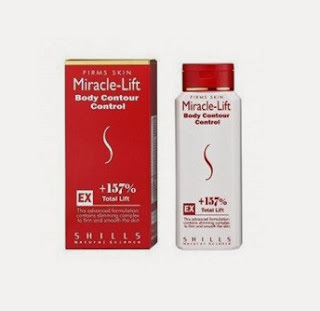 Second in my wishlist is the SHILLS (HOT) Miracle Lift Body Contour Control 250ml. This product retails as RM89, but is only RM69 after discount at Hermo.com.my! It is enriched with micro-red crystallized molecule. Its high penetration level helps absorb excessive fat accumulation in area of concern. Hence, dear Santa Hermo, I hope that you would grant my wish and send me these two items, and I would be one of the happiest butterflies in KL at this moment!